I'm Yoheved. I'm a mom to 4 fabulous kids (Amira, Yaakov, Yonit and Dov), wife to Yuri and a lawyer at a firm in Jerusalem. We've had a relationship with Shalva since 2002 and have seen the transformative work Shalva does with mentally and physically challenged kids and their families. That's why I'm jumping in waaaaayyyyy outside of my comfort zone and undertaking this challenge to raise funds for Shalva. I'm training to scale Kilimanjaro, the highest free standing mountain in Africa (yikes! ), knowing that what I’m doing requires a painfully small fraction of the investment and dedication these kids, their families and the committed Shalva staff and volunteers bring to the table every single day. Ezra Gross 180 ILS Go go Yoheved! anonymous 36 USD Definitely bumps you up to coolest cousin :) Go Yocheved! Aliza Fischman 25 USD Good luck, Yoheved! I've always looked up to you, now I'll have to look WAY up! Love you! anonymous 180 ILS Good Luck! Joshua Shoshan 100 USD Go for it, Yoheved! Pnina Farkas 200 ILS Wishing you a wonderful and safe journey! In so many ways you are an inspiration - mostly generated from your profound inner strength and the positive energy of your smile . May this adventure be successful in all ways for you and for Shalva! Jeremy Ament 50 USD Kol hakavod Yoheved! Daniel Damboritz 350 ILS Sooooooooo jealous!!!!!!! Chia Samson 100 USD Good luck! Very proud -- and impressed! Hadley Baumol 180 ILS Have an amazing climb! Risa Schuman 180 ILS Wishing you a trip of a lifetime!! We'll be thinking of you. anonymous 180 USD Coolest cousin ever- go Yoheved go! Simon Weintraub 150 ILS Good luck! Shifra Waxman 180 USD To someone I've looked up to for forever - you have already summitted on all the important measures of life - we'll be cheering you on, step by step!! Elana Fischberger 50 USD We are so proud of you, Yoheved!!! Way to go!!!! Adina Samson 250 ILS Good Luck!!! anonymous 180 ILS Very Impressed! Yehoshua Halevi 100 ILS Climb safely and enjoy! Kim Ephrat 360 ILS Kol Hakavod!! Looking forward to the pics! David Kahn 250 ILS Go Yoheved!!! You can do it!!! Elisheva Leybovitch 180 ILS So cool you are doing it! 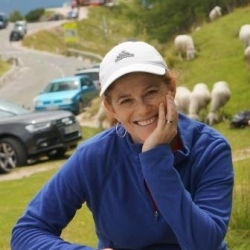 Michele Rubin 118 USD We are glad to support your exciting climb and want to hear all about it! anonymous 1800 ILS you go, crazy lady! climb away! Jenny and Elan Zivotofsky 360 ILS Go Yoheved!!! Kol Hakavod!!! Shira Teger 500 ILS Go Yoheved! שירי שחם 500 ILS כל הכבוד ובהצלחה! anonymous 500 USD So excited for you! What an experience, can't wait to hear about it PG over lunch in a few months... Thanks for helping support an organization so dear to my heart..
Robyn Samuels 118 USD Sh'koyach Yoheved! So awesome! Miriam Friedmann 250 ILS So proud of you Yoheved!! anonymous 360 ILS You go girl!